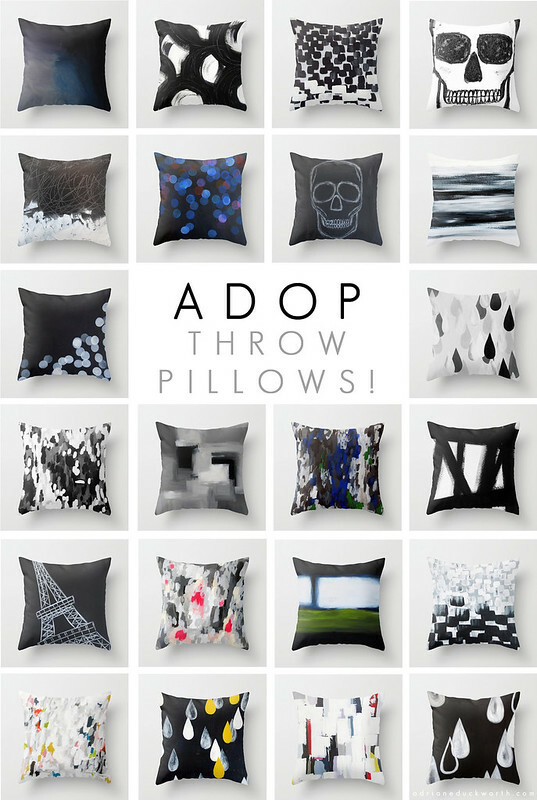 The A & B Stories: ADOP Throw Pillows are now available! ADOP Throw Pillows are now available! I'm so, so excited about this. I've actually been trying to source this out for a while and have had some trouble, but Society6 recently launched the functionality to offer throw pillows, and I was all over it! You can view my full collection of throw pillows here. Most of my pieces are there, and more will be added. I'm also thinking about adding my nursery line too! Anyway, hope you guys like these! They are pretty reasonably priced (the small cover is only $20) and right now shipping is free until Monday! say whaaaaaaat?! this has made my Thursday! THIS IS AMAZING! Seriously......Society6 knows what's up! I really, really like these. Your paintings looks so awesome as pillows, I can't decide which one I want! Congrats!